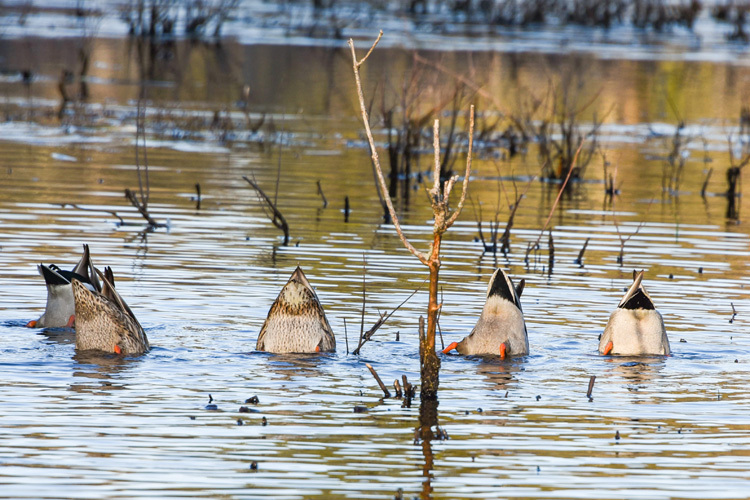 Posted on November 19, 2018 by Ryan D.
Waterfowl exhibit a whole host of different feeding behaviors, like diving, grazing, or foraging. The most common, however (or at least the most commonly recognized) is “dabbling” or “tipping”. 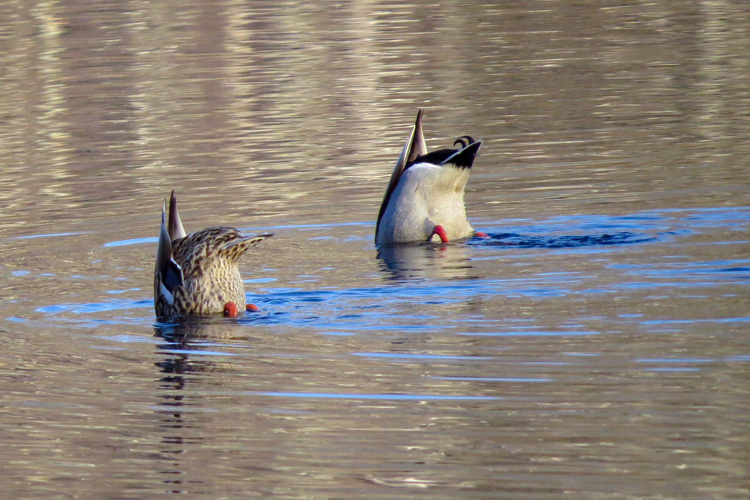 Dabbling ducks like the Mallards pictured below will simply “tip up” in shallow water to forage on the aquatic plants along the bottom. 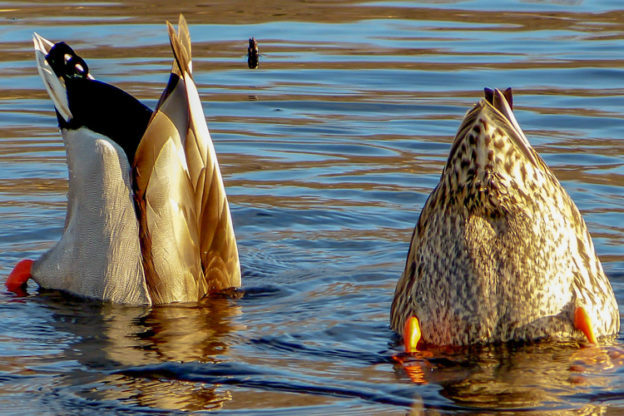 Swans, geese, and teals also display this behavior, although their varying neck lengths allow each species to access food at different depths. It’s a perfectly practical adaptation but one that can certainly be amusing to watch. 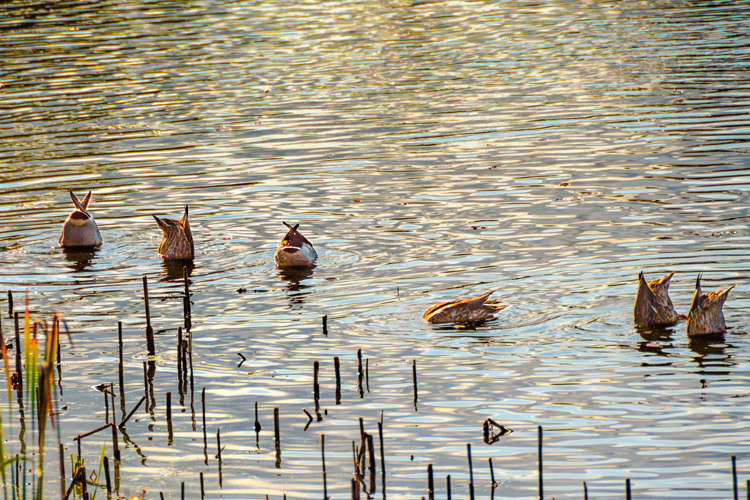 Here are five photos of Mallards dabbling away for your amusement. All of these photos have been submitted to our annual Picture This: Your Great Outdoors photo contest. 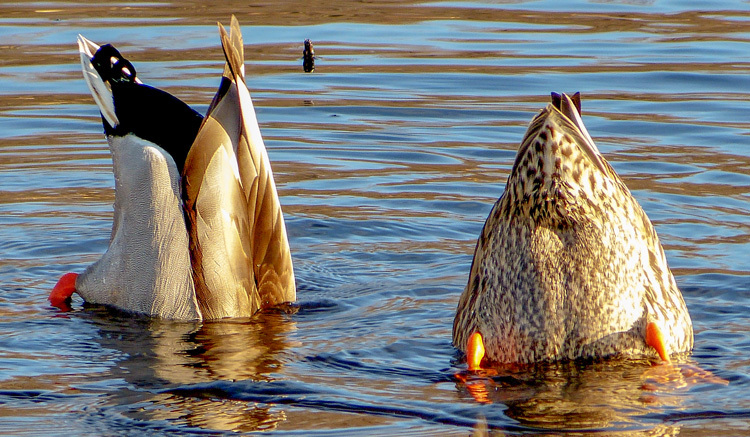 Bottoms up, duckies! This entry was posted in Take 5 and tagged ducks, Mallard ducks, photo contest, photography on November 19, 2018 by Ryan D..
Posted on April 2, 2018 by Ryan D.
Ducks are a familiar sight in our urban and suburban parks, having adapted over time to thrive in developed areas. There are dozens of species of ducks, but thanks to Robert McCloskey’s popular children’s book Make Way for Ducklings, most folks are familiar with the Mallard species, the most abundant waterfowl in Massachusetts and, indeed, the United States. 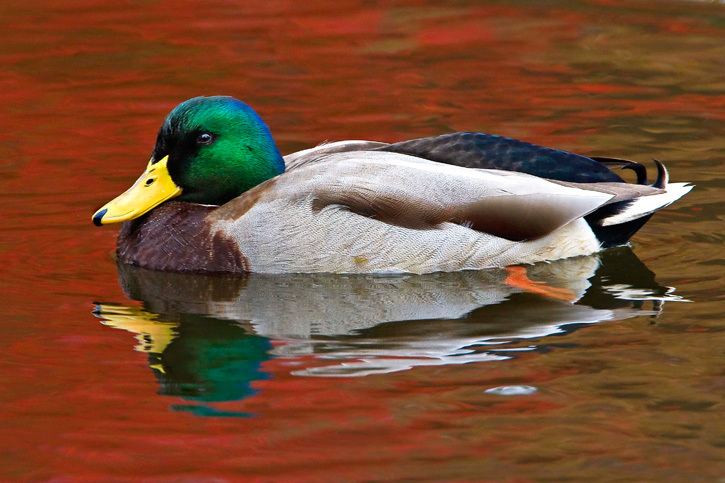 Mallard males are easily recognizable, with their glossy green heads, bright yellow bills, and white neck rings. Females are a bit more demure, with mottled brown coloring and orange-brown bills, but both males and females sport a blue patch bordered by white in their wings. 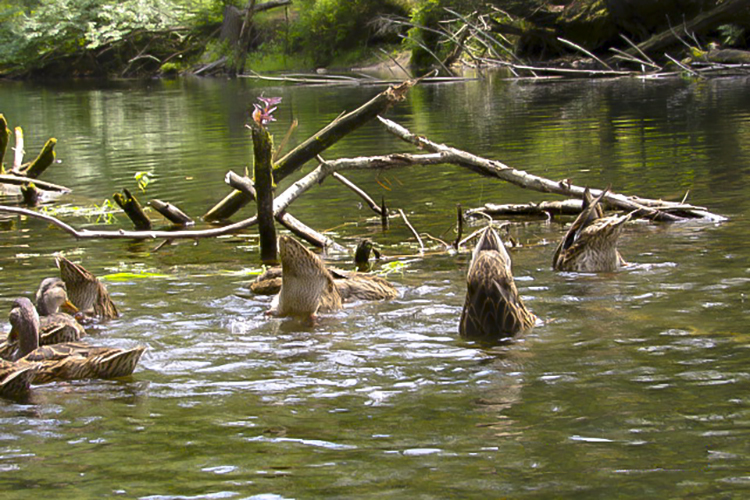 In spring, female mallards search for good places to make their nests: dry ground close to water, preferably concealed by grass or shrubbery. Occasionally, their nesting spot of choice may be a fenced yard, a swimming pool, or the courtyard of a building. 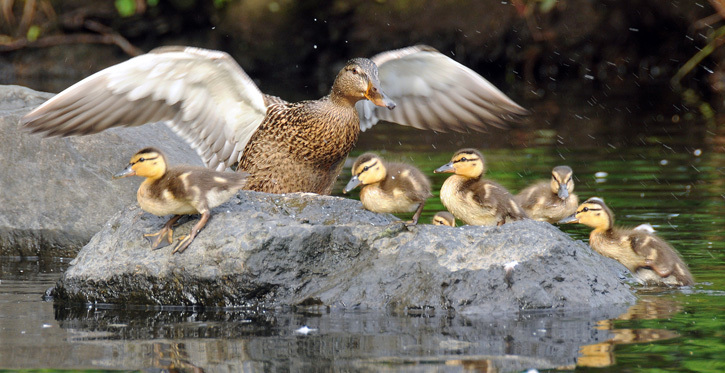 Fences and walls are not much of a problem for the mother duck, who can fly right over the top, but once her ducklings hatch, they may be trapped as they are unable to fly for their first 60 days. 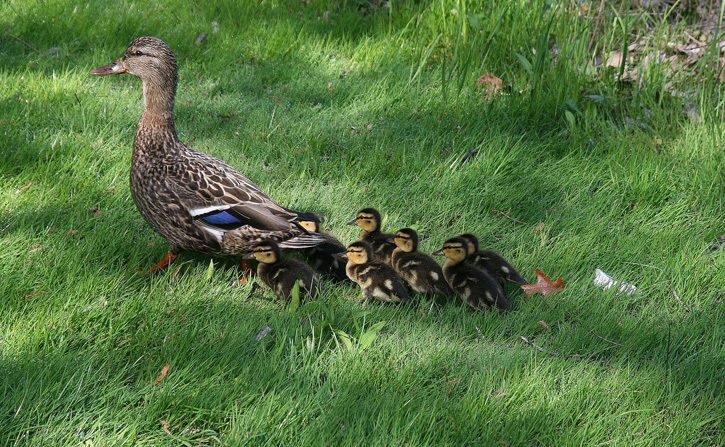 If you encounter a mallard nest in such a problem area, this story of a local Newton family and their resident mallard, “Quackie”, should offer some solutions (and warm your heart!). 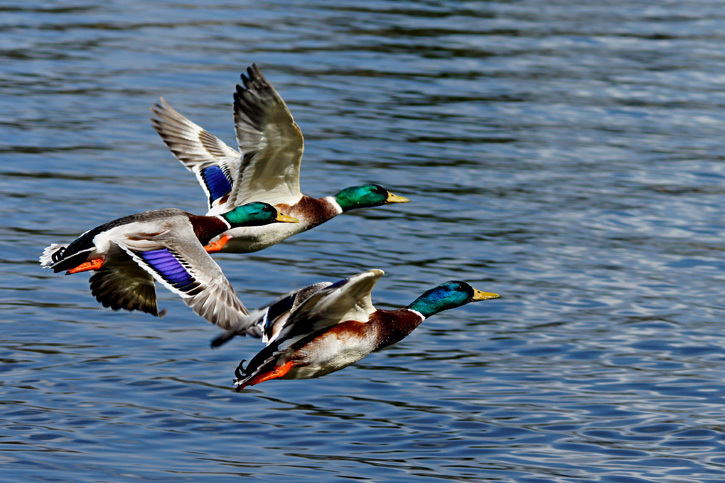 Here are five great photos of mallards from our Picture This: Your Great Outdoors photo contest to celebrate some of our favorite feathered storybook heroes. Submissions for the 2018 photo contest open in early summer, so stay tuned! 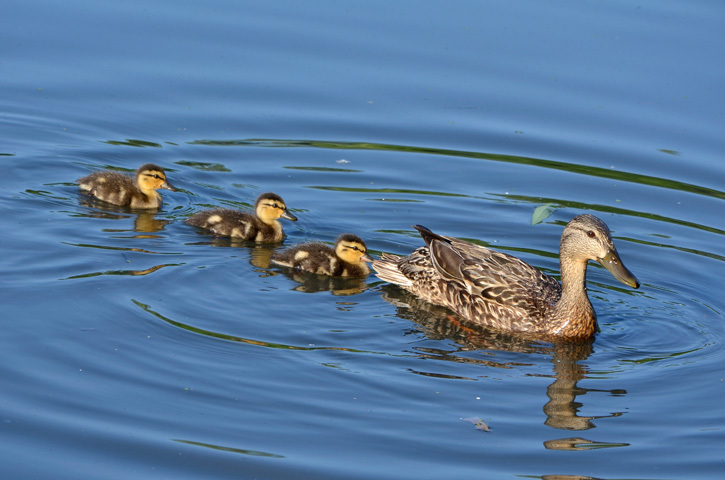 This entry was posted in Take 5 and tagged ducks, Mallard ducks, photo contest, photography on April 2, 2018 by Ryan D..